Wendy is one of the most experienced SEQOHS assessors, and has been on the assessment team since the accreditation scheme was set up. She leads the assessment team and focuses on quality improvement as part of her role. She is a qualified specialist nurse practitioner in occupational health, with many years' experience, covering a variety of industries and has worked in various capacities. These include in-house OHA, working for large commercial providers, OH management roles and she's now a single-handed practitioner. Gemma Mackay is the accreditation manager for the SEQOHS accreditation scheme. She is based at the Royal College of Physicians and works primarily on the day to day management of the scheme, supporting services through accreditation, as well as its ongoing development and expansion. Prior to joining the SEQOHS team, Gemma worked as the assessment manager for the JAG accreditation scheme at the Royal College of Physicians. 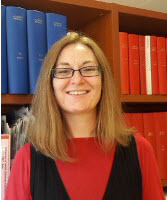 Natasha Long is the SEQOHS accreditation coordinator, based with the SEQOHS team at the Royal College of Physicians. She coordinates the SEQOHS assessment process and training for OH and OH physiotherapy services. Natasha has a background in customer service and data management across a range of sectors and previously administrated the IQIPS accreditation scheme. Ben Wiltshire is one of two SEQOHS accreditation administrators, based with the SEQOHS team at the Royal College of Physicians. He is responsible for the administration of the scheme and is the first point of contact for services and enquiries. Before joining the team in August, Ben worked at Marks and Spencer for eight years in various roles and has a strong background in customer service.